The day has finally come. The wrestling countdown has ended. We hadn't intended for A to start wrestling tournaments until after Christmas, but his team is traveling to a meet in Fort Dodge today, and he really wanted to go. 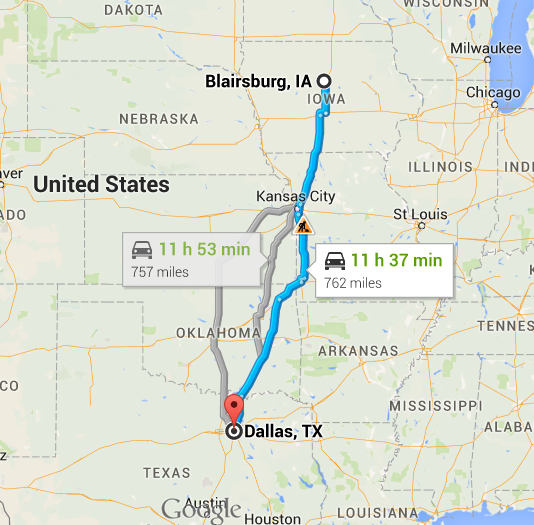 Unfortunately, it falls on the same day as I am leaving for Dallas (Go COLTS!) on a trip that has been planned for months. Missing out on your child's performance or competition has got to be one of the hardest decisions to make as a parent. It's one thing when it's work (still a tough choice), or when you have kids' activities pulling you in two different directions, but this isn't either of those. It's a "fun" trip that's causing me to miss my baby boy's first meet. Insert mental guilt trip! A and I have had a couple of good chats about this. In the first one, he hugged me and said it would be fine. He's 6. Glad one of us could be the adult! In the second one I actually asked if he was *sure* he wanted to do this one. He said he was. So I have had to come to grips with the fact that I won't be there for my kid. He seems much more okay with it than I am. I will probably beat myself up about this for a while, but there is a saving grace. Face time! Thank God for technology that allows me to connect with my kids and see their activities even when I can't be there! And for the record, we won't actually be face-timing as my husband doesn't have an iPhone. So for those of you in an Android situation, we are going to be using a Google Hangout. I'm lucky that this is the first time this has happened, and hoping it will be one of the only. But as my kids get older and involved in more activities, we all know that won't be the case. Does it get easier? Would love a little Parenting 101 advice from some of you with older kiddos. But I want to give myself a little gift, in the spirit of the holidays. I hereby give myself permission to go on my trip and have fun. I do not need to feel guilty. I do not need to feel like a bad mom. If you're in a similar situation, I'm happy to share this gift with you. You are an amazing parent. You do not need to feel guilty for missing an event once in a while. In fact, you are modeling balance in life for your child. You are modeling real life - it's messy, it's wonderful, it's unpredictable. Give your child a hug, wish him or her good luck, and call for an update when it's over. Sometimes absence is unavoidable. For me, this is one of those times. I'll be at the next tournament, cheering twice as loud to make up for missing this one. 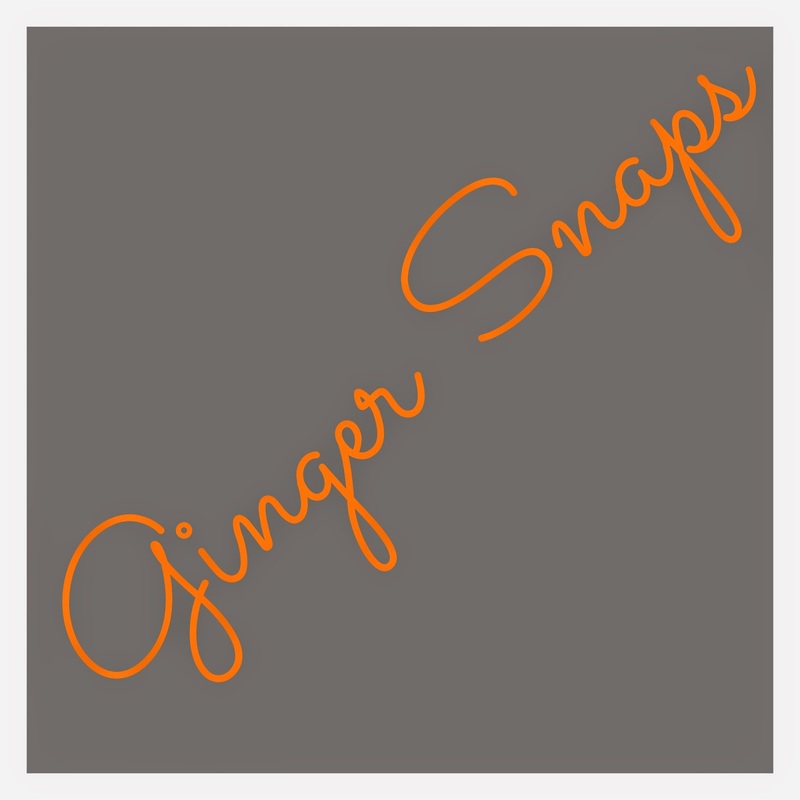 Amber Zewert is a freshman at Iowa State University studying Art & Design, who started her own photography business: Ginger Snaps. I first saw Amber's photography on Facebook years ago when she started taking pictures of sporting events at her school. 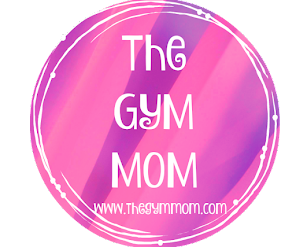 Having just received a new camera myself (Nikon D3200), and watching many of my fellow gym moms and dads take a ton of fantastic photos of their kids' events, I knew I had a lot to learn. We started with the camera. Amber started with a Nikon Coolpix her sophomore year of high school, but says, "today I use a Canon EOS T3i Rebel and I love it. It is way more fancy than my point and shoot camera I started with... 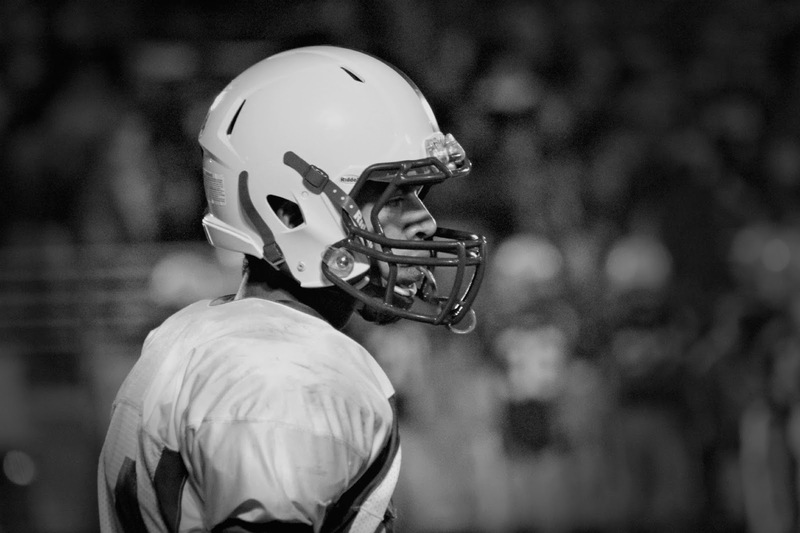 I use [a] longer lens (75-300mm) for sports shots and I use the short lens (18-55mm) for senior portraits." Use the appropriate lens for the appropriate venue. Lesson #1! Whether shooting sports or senior portraits, she really looks for photos that are unexpected or caught in the moment. When it comes to sports, she says, "I look for those team hugs, an arm around the shoulder when the coach is talking to a player, or a player helping an opponent get up after being knocked down. Those are the images I really like to get because sometimes they get over looked, and when people see these images they just love them." I love Amber's focus on unique images. Lesson #2 - catch the "stolen moments" as often as possible. 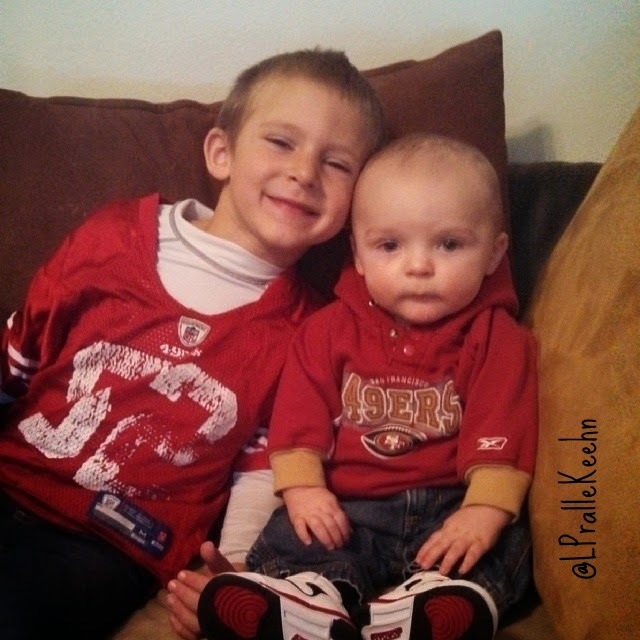 Lesson #3 - "You don't need a fancy camera to take awesome sports pictures or pictures of your kids in general. It just takes practice and time." Don't expect to get the perfect shot every time. Be patient. Amber says, "It takes practice and it also helps to read up on some photography blogs or Pinterest posts if you have questions, because there are tons of people out there who have more experience or a broader knowledge and you can always learn more." That is totally lesson #4 - take time to learn from those around you; ask questions if you need help. What started with taking pictures at volleyball games in high school has turned into a brand. After taking senior pictures for a friend, Amber decided she needed a name. Her mom suggested AtoZ (Amber Zewert), but she opted for Ginger Snaps. In addition to senior portraits, Amber has taken the team softball pictures for the CAL Cadets for two summers, and her photography adorns the walls at CAL CSD, as well. I wanted to know what challenges to expect. Amber said that, "when taking action shots... you can't just take one photo and think it will be the best photo ever. No, you have to take multiple photos just to get that one good shot you really want." So to me, that means lesson #5 is to hold the button down when taking action shots! Amber mentions that clicking away to get the right shot "makes going through photos after a game tedious and long." Though she doesn't mind it - "it's like watching the game or photo shoot all over again." Lesson 6 - deal with it; "you will get the one shot you truly want and it will all be worth it in the end." Finally, I asked Amber what her all-time favorite photo was. She found one in particular that really stood out for her. She tells the story, "I was at an away game supporting my school's football team senior year and I was on the sidelines taking pictures for the yearbook... When I went through [the] images that night I saw one that caught my eye. It was one of my classmates and I don't know what it was but it just really stood out to me because it was just him and the opposing team's crowd blurred in the background and it became one of my favorites." The photo went on to win first place in the conference art show after she edited the photo to a black and white. Amber chose to make it black and white "because I love a good black and white photo and everything seems to look much more clean and crisp. I believe it also allows you to focus on the subject more than anything else." So lesson #7? Editing can make a good picture great! My favorite it www.picmonkey.com, but then I'm not a professional, by any means. Thanks, Amber! I have a lot to learn, but I can't wait to apply these lessons to my own photography! Whether you do a good luck gift before each competition or it's an end of the season surprise, gifts for athletes are hugely popular. I found some great DIY gifts for athletes, along with the Etsy version for those of you like me, who would rather just pay someone else to do it! I know this one is pretty gender specific, but it is also incredibly popular. 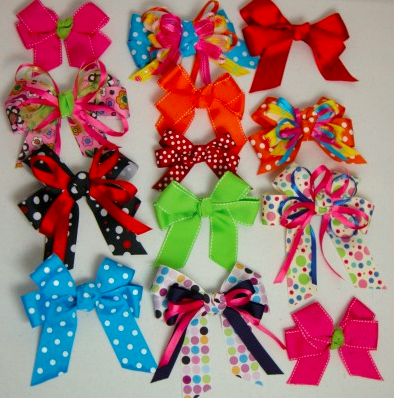 This tutorial for making bows results in cute and not too difficult bows for your athlete. Follow the tutorial and use your team colors to create a matching bows for each member of the team. Or, if you're like me, and would rather pay people to make your bows for you (we own over 125 different hair bows - I have a problem), check out one of my favorite Bow-tiques, The Trendy Owl. She did R's competition season bows for me almost a year ago (I ordered them early because I was super excited, of course), and they are completely gorgeous. Water bottles are an item your athlete shouldn't be without. There are lots of great ways to customize them, including vinyl cut-outs, stickers, and makers. 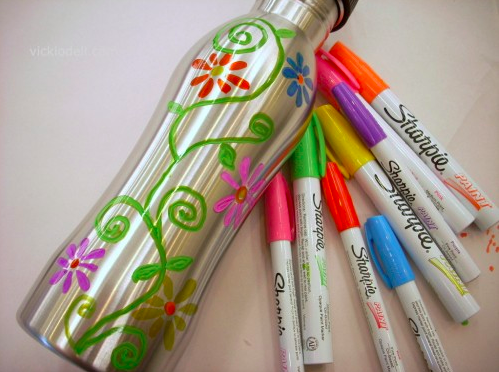 This tutorial is for a simple way to decorate boring stainless steel water bottles (in an effort to go green and avoid plastic) with Sharpie Paint Markers. 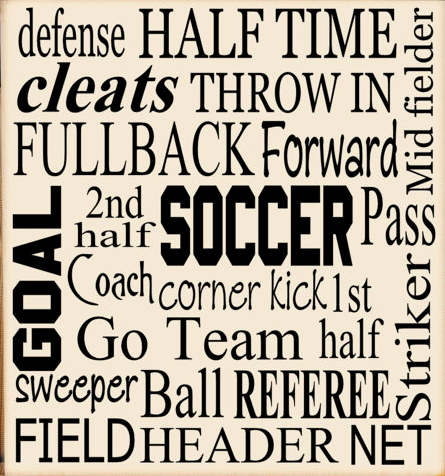 This could include athlete names, mascots, mottos, and more with very few supplies beyond your own artistic ability. However, if you are like me, and have zero artistic ability, I recommend checking out The Posh Diva or CustomDesignsBotique on Etsy. If you have an athlete, you have bumps and bruises. 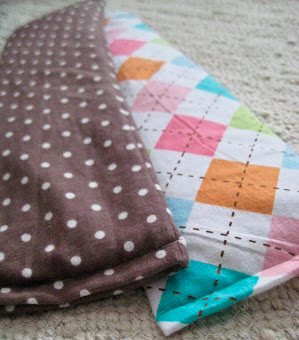 These DIY heat packs (or cold packs) are awesome to throw in the microwave or the freezer for headaches or aching muscles. This tutorial makes it seem fairly simple, although for a boy version of the gift you might think about maybe using eucalyptus instead of lavender. Or not, either way. Use fun fabric, team colors, or sports themed designs, and these make a great gift for your athlete! Owning my shortcomings again, I totally don't sew, so you could also check out these custom heat packs from WildflowerBathBody that come in different prints and sizes! I'm kind of obsessed with subway art, and I've actually given it a short. I was able to create some collages pretty successfully using Google Draw. This tutorial from Tempting Thyme uses PicMonkey, which is an awesome photo editing site, and is actually the one I use to create the photos of my kids for this page. I've created the subway art, but never actually put it on a board or canvas, so if you're not up to trying it yourself, I found great reviews for HDVinylDesigns (photo on right is one of their designs). However, if you're looking to purchase instead of DIY, my recommendation would be to check out Jori, who creates amazing works of art at Heartfelt Designs. It's always great to buy local, and I have many friends and family who have been incredibly happy with her work. 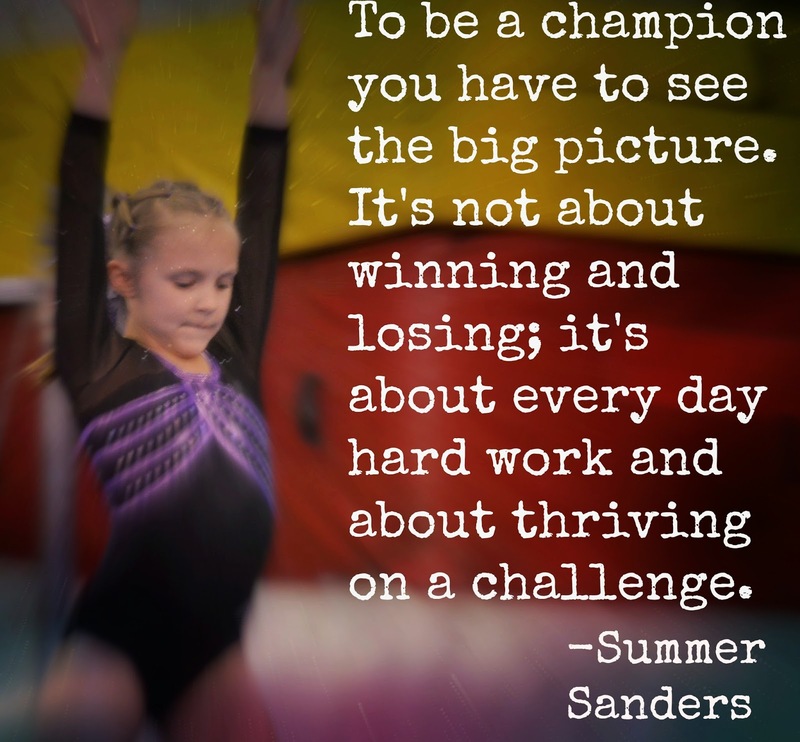 So this weekend we will be attending the Iowa State Compulsory Gymnastics Championships. I am so super pumped. R is excited for state. But I wonder if she's excited because people make it sound exciting? Or if she truly understands the honor and accomplishment that come with it? I'm having trouble talking to R about what an exciting, huge deal weekend this is, because I'm afraid I will stress her out (I'm already a nervous wreck) or say the wrong thing. I want her to above all, first and foremost, have FUN, just like any other competition. However, I also hope she knows what an honor this one is, and honestly? It's not really that it's state, but that this is the last meet of the year - it's time to leave it all on the mat. 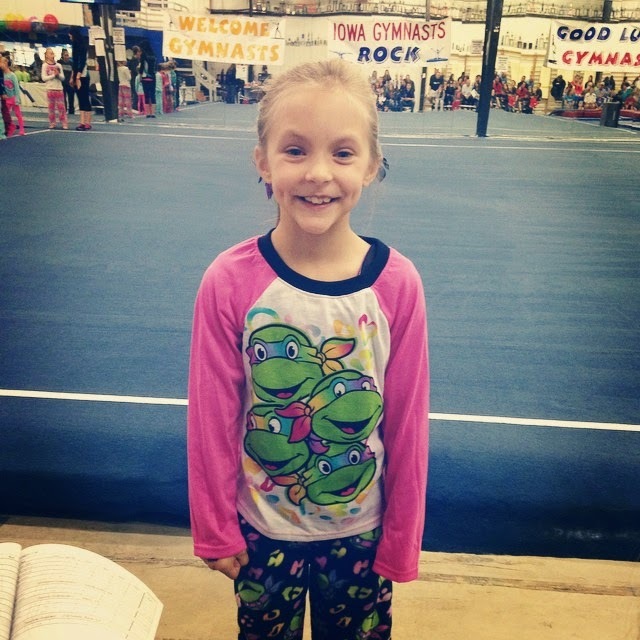 Because even though she is scheduled to compete again at IGI in February, and she wants to continue to compete next year, it's tough to end a season. You get so exhausted by the end, but once it's gone, you miss it. How do you have these conversations with young athletes without putting unnecessary pressure on them? Do you even have these conversations at all? I often feel like I over-think these moments, but one regret I have in life, and something I work on every day, is taking time to appreciate the moments; the memories. I can honestly tell you I don't remember a thing about my wedding. I was so busy running around that I forgot to take a step back and appreciate the enormity of the moment. So now when I have something big or exciting I try to remember to pause, even just briefly, and appreciate the experience and the moment in its entirety. I think I answered my own questions for once, it just took me a while to get there. That is how I will have this conversation with my tiny princess. Step back, take it all in, enjoy the moment, and then go get it. So up until now my posts have been largely gymnastics related, in part because we have been in the middle of competition season, but also because I just don't know a lot about the world of wrestling. However, now that we've started identifying which tournaments we're going to sign up for, and they are quickly approaching, I am getting more and more nervous. 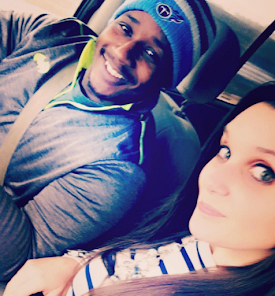 My husband and I decided based on our own busy schedules and A's inexperience that we would wait until after Christmas to let A start competing. While I know that the real competition is going to go a LONG way in teaching and learning, and at some point you just have to bite the bullet, it was also important to me that I didn't set my child up for failure. My son is 6 and incredibly competitive. Learning how to lose is a skill that I am hoping we begin to work on throughout this wrestling experience. However, knowing how competitive he is, and hearing about what an emotional sport wrestling is, it was important to me that we all (A included) feel like he had some knowledge and skills before jumping right in. I don't expect a first place trophy his first time out, but I want him to have fun and feel good about what he has accomplished. So on a less serious note, I still have a couple questions. 1. WHY is there such a huge gap between weigh-in and the actual wrestling? What takes place during this time? As I was getting registration forms organized I realized that there is often a 1.5-2 hour gap between weighing in and when they start. Are they eating? Warming up? Trying to get me to buy more snacks? Help me out here, people. 2. WHY is head gear optional?! I feel like this will be a future blog post all its own, but when I see 4th graders with cauliflower ear already I have to wonder why this protective piece is a choice. I feel very lucky that A likes his head gear and just wears it around the house because we told him flat out that for him, it's not an option. What exactly is the debate, here? I know I'll learn as I go, I had tons of questions about gymnastics meets too, but at least that was somewhat familiar territory. Are you feeling my anxiety yet? Don't wash my lucky socks! One of the things I have loved most about competition season has been bonding with R over our pre-meet rituals. I asked my friends what they do before competitions - traditions, rituals, superstitions, etc. I heard lots of carbo-loading from several people, and my own grandmother refused to watch my mom, aunt, and uncle when they competed because she got so nervous. Most of the answers were pretty tame, but I'll let you all decide how crazy R and I are. This started as a way to make sure her nails had all polish removed and were clean, but turned into a mani/pedi (with clear polish), and a foot massage. Grandma does a whole leg massage with special lotion, and even dad gets roped into performing these tasks when I'm away. Before Games in Ames I was helping with the meet on Saturday before R competed on Sunday, and E got to join in on the massage. E LOVES lotion, and got a foot rub, too. 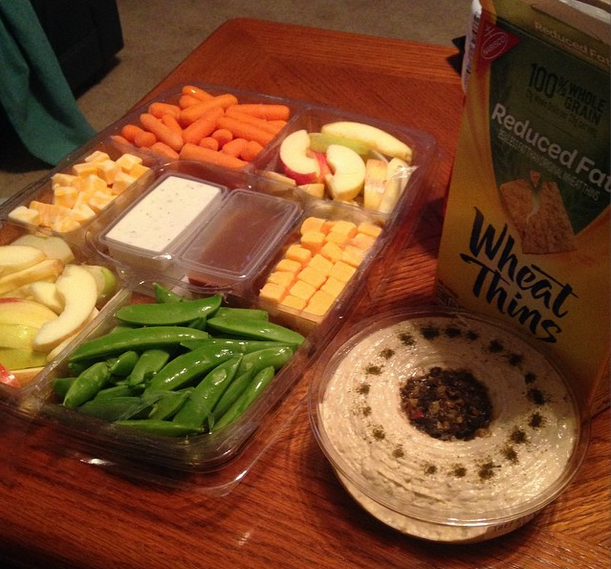 Whether we're on the road or at home, we do special grocery shopping to make sure that we have all kinds of fruits and vegetables and proteins for R to consume as small meals and snacks the day and night before, and morning of a competition. Don't get me wrong, we try to eat fairly healthy all week, but we do put an emphasis on healthy choices during meet weekends. This one might be my favorite. This started because we went to do our healthy meal grocery shopping and my mom and I saw these awesome loaded baked potatoes at the grocery store. We bought them and cooked them at 4:00pm to have as a snack. R couldn't figure out why we would be eating potatoes as a snack when she had already requested fettucine alfredo for dinner, so we told her that we always eat potatoes at 4:00 on Saturdays at grandma's house. This one has carried over to our house, as well as special trips to grandma's to eat her potato. It's not always at 4*, but it's always delicious. *I actually think it should be at 8:00pm because then it could be POT-EIGHT-O'CLOCK (get it? Pot-8-o'clock? PoTATo? Work with me here). However, 8:00 is when we get ready for bed, so that just didn't work. We got into a habit of having grandma do her hair for each meet, to the point that we sometimes even spend the night at grandma's so we don't have to get up so early. Could I learn to do it? Sure, probably, but it's fun to have my mom involved, and she seriously does it better than I would. Either we're on the road and sharing a bed (or couch), or we kick daddy out of the bed and he sleeps downstairs, because the night before a meet you know R and I are having a slumber party! It's not much of a party, because we mostly just go to sleep so we can get up early, but it's still a tradition. Now that I've typed it all out it does maybe seem a bit extreme, but it's all in fun. I hope you'll share some of your rituals, traditions, or "lucky" items so I know I'm not the only one! 10. Play "Where's Waldo?" - Of course I don't mean the actual game, but E *LOVES* his brother and sister, so playing "Where is ________?" and having him hunt to find them usually kills some time. 9. Small toys - You would think toys would be higher on my list, but no. These are temporary fun, and then they turn into projectile missiles that hit strangers in the back of the head. You end up climbing around on the floor hunting for the lost ones and apologizing to half the audience. However, if you have a kid who doesn't constantly yell, "Catch!" then these might be for you. 7. Games - Especially games you can play without props - pat-a-cake, peek-a-boo, tickle monster... You know, games that are distracting and easy and have ridiculous baby names. And you probably use an awkwardly high voice when you talk during them. I always feel like I sound like a nerd when we're playing, but who doesn't love to hear baby giggles? 6. Books - These are great until he throws them at the people sitting in front of him. See number 9. However, books capture my son's attention longer than toys, usually, and it's a great way to fit more reading into your day. 5. YouTube Videos - I'm not a huge proponent of giving my kids more TV to watch, but whether it's an episode of Mickey Mouse or animals doing funny tricks, this one definitely gets the job done. The down side is that if the location doesn't offer wifi you'll use up a ton of data. 4. Just let them run - This works great when there's nice weather or a large open area. It's high up on the list because it's so effective, but depending on your locale, it may be a bit difficult. We like to take Easton and just let him run off some steam in between events. 3. Snacks - Do I even have to explain this one? What baby doesn't enjoy some fruit snacks or goldfish crackers? 2. Devices! 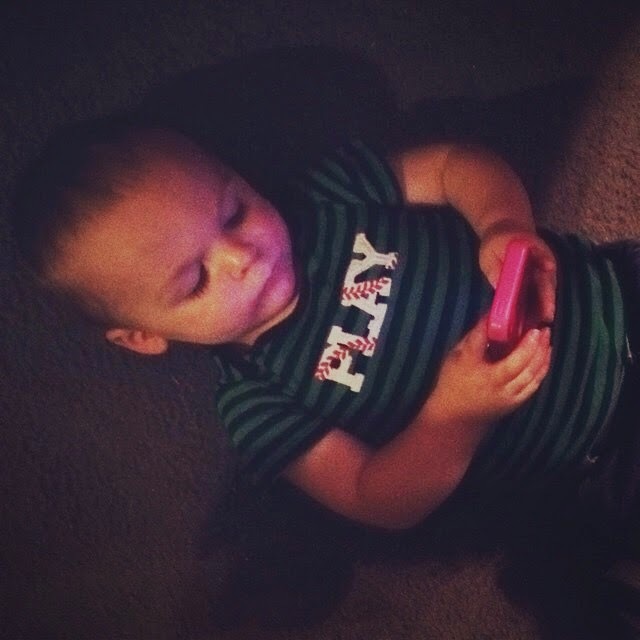 Some may disagree with giving a baby a tablet; my pre-school teacher sister has told me more than once that children under 2 should not be having screen time. However, E loves to play games that make animal noises or allow him to race minions. This probably would have been number one, but I decided human interaction out-ranks electronics. 1. Friends and family - the thing that has worked best for us has actually been to bring as many people along to watch the event as possible, and then all take turns distracting E for the short periods of time that each of us is effective. Then he gets lots of attention and you only miss a few minutes during your turn of the rotation. Thank the Lord for grandparents, aunts, and uncles!!! You know you have other kids, right? Oh really? I do? You mean birthing my semi-giant 9lb+ baby boys wasn't just for fun? It has been brought to my attention more than a few times that I (and we) need to be careful with the amount of time, energy, and focus we put on Rylee and her activities. Let me tell you how much I love being told that I'm parenting wrong. Especially when it's by people who don't have kids. We do have a child that spends several days a week training. We do put a lot of time and energy into that as a family. But what you don't see are the numerous times I ask my son if he wants to do karate, or piano, or soccer, or tumbling, or strength training. What you don't see are the countless hours my husband spends playing XBox with our son. What you don't see are the activities that A and I do while waiting in the parent area at the gym. What you don't see are the 9 billion questions my husband answers to help A understand every minuscule aspect of football and the NFL. And then of course there's the baby, who honestly just will not be ignored even if we wanted to. When you don't listen to E, he screams, "mom. Mom. MOM. MOM! HON! HONEY!" "dad. Dad! DAD! J!" We were THRILLED when A decided he wanted to do wrestling this winter. As much as I don't love having another night on the road, I'm so excited for him to have something that is about him. He had that last summer when he got to train for and run in the Iowa Games, and I'm super pumped for him to have that again. But he has chosen to do it on his terms, and has chosen to do something that he wants to do. Not something that we chose for him because people thought we didn't spend enough time for our "other" children. I guess what I want to say is that balance can be difficult to find, but when you have kids with activities, or one kid with activities and one or more who are along for the ride, you make the decisions that you know are right for your kids. Trust yourself. You know what's best for your kids.